TOOFLY NYC » THE ART HUSTLE – DROPS JULY 1st! THE ART HUSTLE – DROPS JULY 1st! 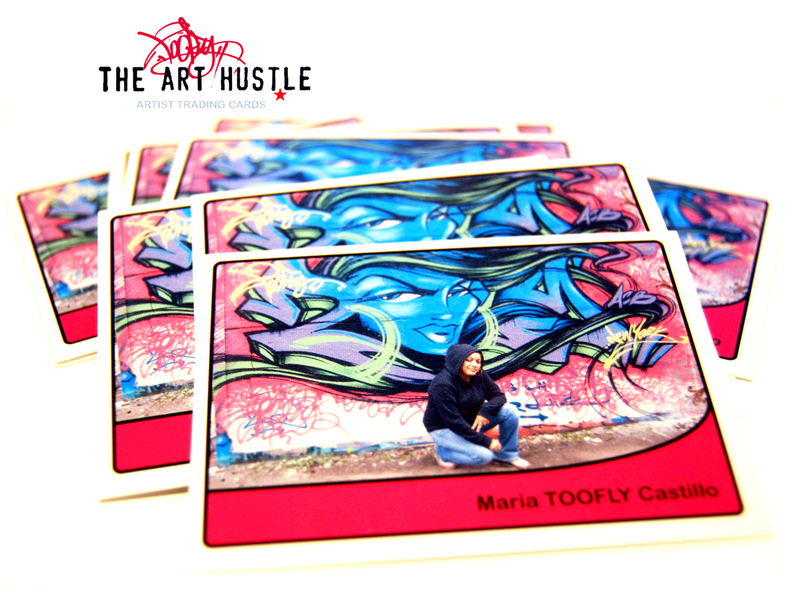 The Art Hustle is a set of art and artist-based trading cards produced by The Cardhacks and manufactured in the USA by SideKick Media. The set is very much a collaborative effort with artists, and exhibits an international group working in multiple disciplines, including street art, toy art, kaiju, sketch, illustration, painting, aerosol art, poster art, collage, digital art, sculpture, photography and more. What makes The Art Hustle so cool is that it gives you a completely new experience as a collector; the set is a tangible exhibition of talent that you can experience and learn about. You also have a chance to get an original piece of art! Plus, being inspired by trading cards produced in the 1960’s, 70’s & 80’s, the set offers up some vintage-inspired flavor including chipboard card stock and the much-loved wax paper wrapper. Boxes will be available through our secure online store, and through select shops, galleries & dealers. For wholesale inquiries, please visit www.dketoys.com. There are 300 individually numbered boxes. There are 15 different box top variations. There are 36 card packs per box. The set includes an international group of 75 participating artists, and personalities. Check back for more information on Series 2.